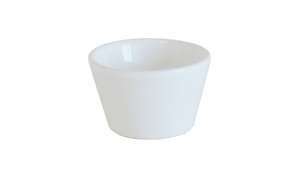 Made from ceramic, this small ramekin dish from George Home is ideal for serving mini soufflés, crumbles and cakes. Probably cheaper to wait for Gu to come on offer and save the dish you are left with. Or use the every-day Aldi premium desserts for the same thing. Just my opinion, given my mrs has saved about 15 of these over the years! Probably cheaper to wait for Gu to come on offer and save the dish you are …Probably cheaper to wait for Gu to come on offer and save the dish you are left with.Or use the every-day Aldi premium desserts for the same thing. Just my opinion, given my mrs has saved about 15 of these over the years!